In this success story, Leah explains how they discovered her son’s vision-based reading problem. “Isaac qualified for special education services about 3 years ago. He isn’t a typical child and before he qualified he had everyone stumped. Even the school psychologist didn’t really know what to say about the testing results. He qualified him as having a learning disability in the area of reading comprehension even though many of his test scores were very high. Fast forward to 4th-grade IEP, and we are desperate to have Isaac test out of special education before he gets into middle school. His teachers report he is doing well, but he is still lacking necessary reading skills. He also really struggles with spelling and his handwriting is horrible. At the same time, he is in an enrichment class learning hands-on Algebra. We were all kind of frustrated because Isaac works really hard at school and at home. We didn’t want his spirit to be broken because of his struggle with reading and spelling. A few days later his resource room teacher sent me an article written by Dr. Bartolini. I made the call shortly after to Wow Vision Therapy to make his first appointment. I’m so glad I called! Isaac has made so many improvements since starting/finishing his therapy. His reading fluency improved, he is making fewer mistakes when reading, he knows his 5th-grade sight words, his handwriting improved dramatically, and many more improvements we can’t see. 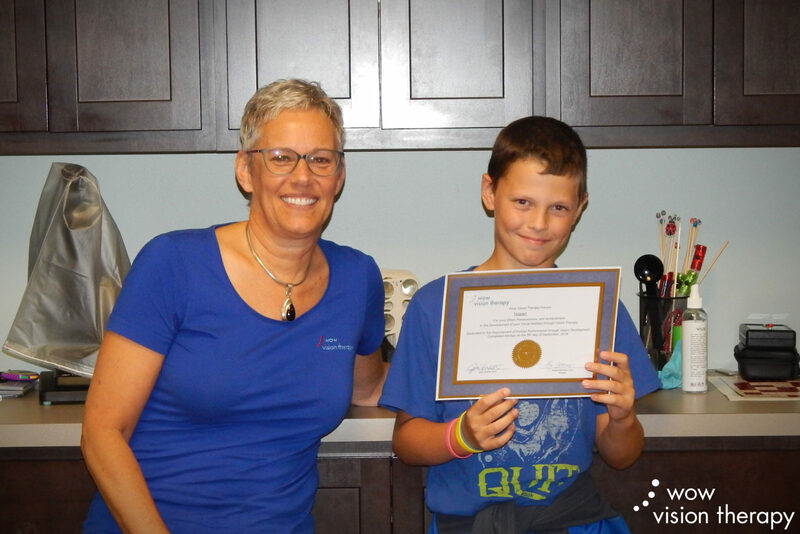 He has some catching up to do academically, but because of his time spent at Wow Vision Therapy, it won’t take him long. He is up for his re-evaluation in a few months, and we are all excited for the results.